The way I'm hitting, I'd better make those plays. 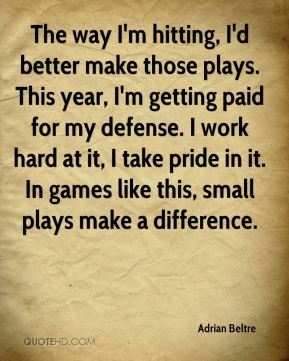 This year, I'm getting paid for my defense. I work hard at it, I take pride in it. In games like this, small plays make a difference. It was good. It's always good to get everybody on the same page. 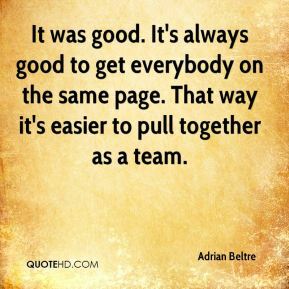 That way it's easier to pull together as a team. At first I thought it was broken. But after two or three minutes I started to feel a tingle there, and after a while I was able to move my fingers. Everything he said was true. 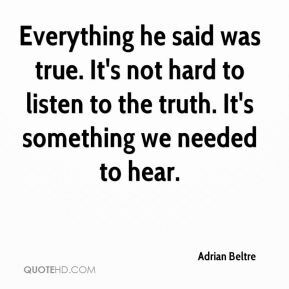 It's not hard to listen to the truth. It's something we needed to hear. 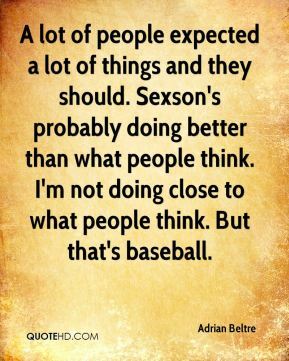 A lot of people expected a lot of things and they should. Sexson's probably doing better than what people think. I'm not doing close to what people think. But that's baseball. 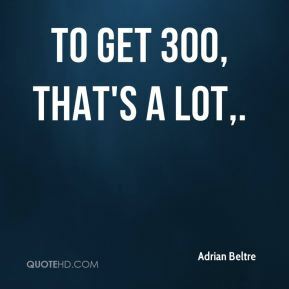 To get 300, that's a lot. 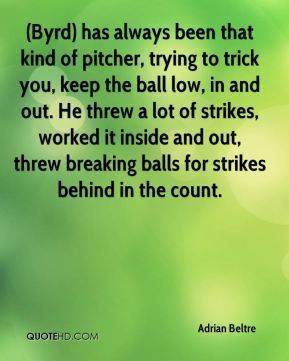 (Byrd) has always been that kind of pitcher, trying to trick you, keep the ball low, in and out. He threw a lot of strikes, worked it inside and out, threw breaking balls for strikes behind in the count. Guys get frustrated like Frankie did, and I understand that, ... If it had taken place out of sight, that would have been one thing. 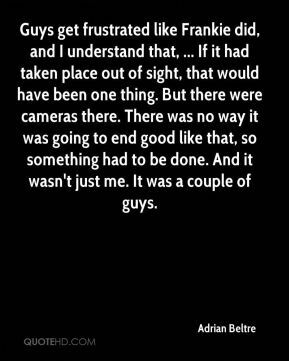 But there were cameras there. There was no way it was going to end good like that, so something had to be done. And it wasn't just me. It was a couple of guys. 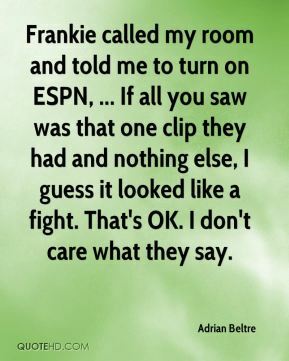 Frankie called my room and told me to turn on ESPN, ... If all you saw was that one clip they had and nothing else, I guess it looked like a fight. That's OK. I don't care what they say. If the team needs me, I want to do it. 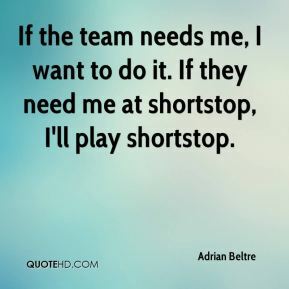 If they need me at shortstop, I'll play shortstop. 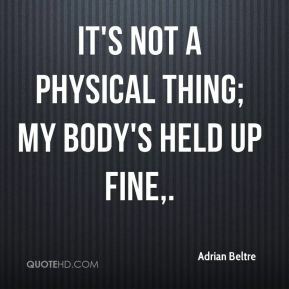 It's not a physical thing; my body's held up fine. 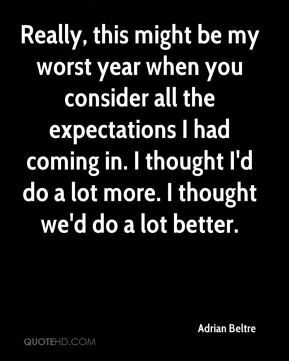 Really, this might be my worst year when you consider all the expectations I had coming in. I thought I'd do a lot more. I thought we'd do a lot better. 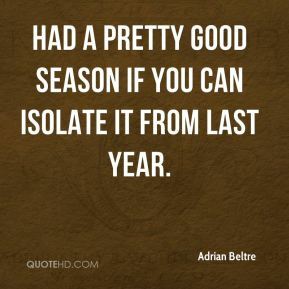 Had a pretty good season if you can isolate it from last year. 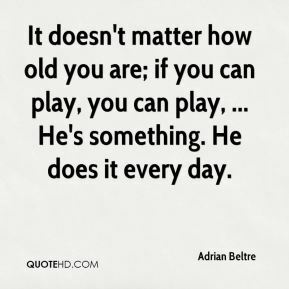 It doesn't matter how old you are; if you can play, you can play, ... He's something. He does it every day. 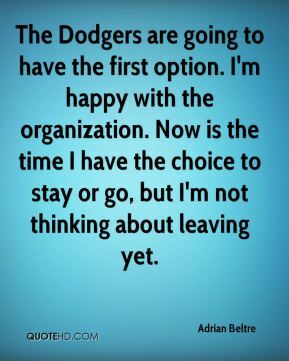 The Dodgers are going to have the first option. I'm happy with the organization. 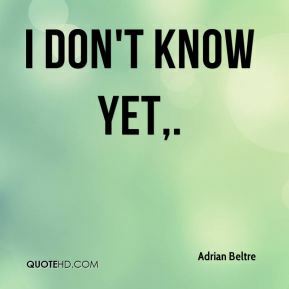 Now is the time I have the choice to stay or go, but I'm not thinking about leaving yet.